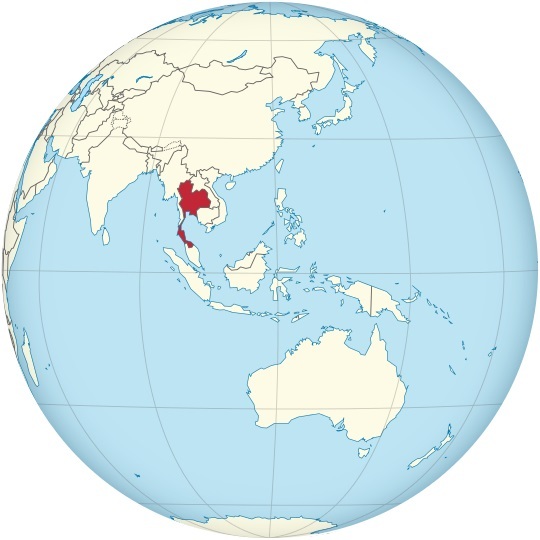 Thai music is very distinctive and is a direct result of it's geographic positioning as it rests just between China and India. Both China and India also have radically different musical traditions and instruments, by combining these traditions and instruments Thai music created a unique personality. Some of instruments commonly used in Thai music are the Indian Jakhe and the Chinese Klong jin. In terms of Thai music styles there are many; in relation to folk music in particular there are three primary traditions. The first is Luk Thung, or Thai Country music. Obviously it sounds nothing like Eric Church or Big and Rich (not that they sound very similar themselves). Rather, it's relationship to American Country music is in the lyrical content where most of the songs are about the daily struggles and joys of the common man. Next is, Mor Lam, this is one of the most popular types of folk music in Thailand and is very similar to the Luk Thung style. The main difference is that it is much faster and more boisterous, sung almost like a traditional punk song. Lastly there is Kantrum, traditional Cambodian dance music. It is very simple and consists usually only of a singer, a type of native fiddle and percussion. The type of music that Thailand might be most popular for is arguably it's string pop. String pop is simply pop music in which the music is driven primarily by string laden orchestration, synthetic or otherwise. It is a style that is often combined with LUk Thung. Heavy metal is also quite popular and very similar to the established genre sound in other parts of the world. If you are interested in Thai music check out hit-Tuner.net, a versatile radio portal where you can listen to thousands of songs from all over the world.